A new villain has been confirmed for Dark Knight Rises, though he was already featured in Batman Begins. Christopher Nolan's upcoming Dark Knight Rises has already added Bane and Catwoman's alter-ego as potential villains, in addition to Inception's Joseph Gordon-Levitt as a rumored "Holiday Killer," and now a newly revealed cast member stacks Ra's Al Ghul on the pile. However, this won't be the same Ra's Al Ghul we saw in Batman Begins. The Hollywood Reporter writes that Social Network co-star Josh Pence will play a "young" Ra's Al Ghul in Rises. Unconfirmed sources say that he'll appear in flashback scenes from 30 years prior to the events of the film. In the Batman comic books, Ra's Al Ghul is one of Batman's greatest foes as an international terrorist able to constantly rejuvenate his life in pools called the Lazarus Pits. His daughter, Talia Al Ghul, is often introduced as a love interest for Bruce Wayne. Pence's role furthers rumors that Marion Cotillard, confirmed for an unknown role in Rises, will be playing Talia Al Ghul. In Batman Begins, Ra's Al Ghul (played by Liam Neeson) is the head of the League of Shadows, an organization dedicated to protecting the world through any means necessary (even mass killing). He's believed dead from the events in Batman Begins, but when a guy like Ra's Al Ghul is "believed dead" you know he's got to be alive. Whether or not a young Al Ghul in Rises confirms the return of the older Al Ghul is unsure. 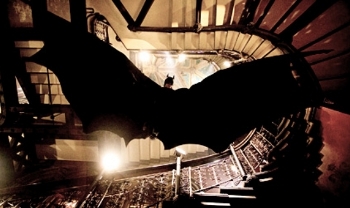 Dark Knight Rises is planned for release in 2012.